Leigh Brackett was born on December 7, 1915 and died on March 18, 1978. Leigh Brackett was the first woman ever to appear on a Hugo ballot when she was nominated for her novel The Long Tomorrow in 1956, and was nominated for two Retro Hugo Awards in 2016. Her collection Sea Kings of Mars and Otherworldly Stories was nominated for a British Fantasy Award. In 1978 she received a Forry Award from LASFS, and she was named the recipient of the Cordwainer Smith Rediscovery Award in 2005. 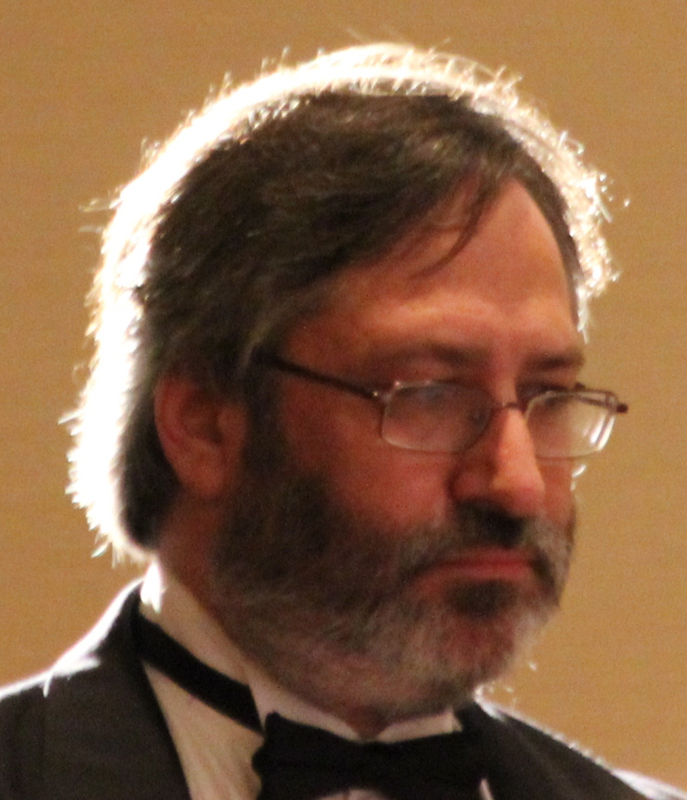 In 2014 Brackett was inducted into the Science Fiction Hall of Fame. Brackett and her husband, Edmond Hamilton, were guests of honor at Pacificon II, the 22nd Worldcon, held in Oakland, California in 1964. She worked in Hollywood and is one of the credited co-writers of The Empire Strikes Back as well as The Big Sleep, on which she shared a writers credit with William Faulkner. She collaborated on fiction with Ray Bradbury and her husband. She published one of her non-genre novels using the pseudonym George Sanders. The Empire Strikes Back was dedicated to her memory. 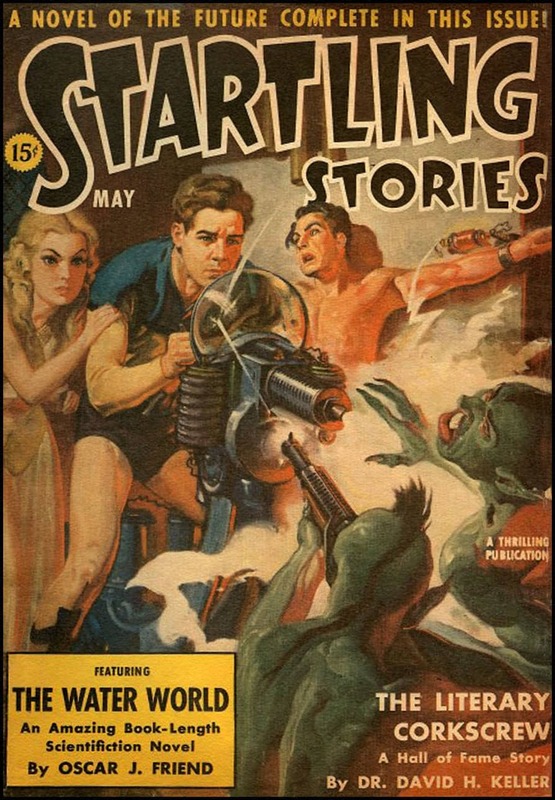 “Interplanetary Reporter” was first published in the May 1941 issue of Startling Stories, edited by Mort Weisinger. It wasn’t reprinted until 2002, when Steve Haffner included it in the Brackett collection Martian Quest: The Early Brackett. In 2008 the story was included in an e-collection issued by Baen Books, Swamps of Venus. 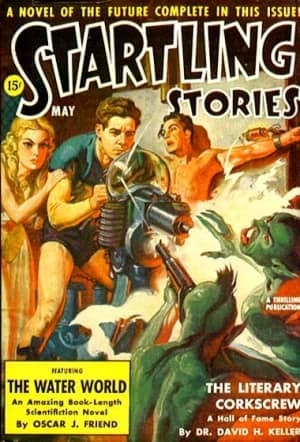 In 2009 Adventure House reprinted the original issue of Startling Stories that contained this tale. Brackett was known for her planetary adventures and in “Interplanetary Reporter,” she places IP reporter Chris Barton in the Venusian city of Vhia. A grizzled war reporter, Barton has decided he is done with working as a reporter and is planning on telling IP editor John Sanger of his decision. On the way into Sanger’s office he spots the beautiful Kei Volhan, who is engaged to cub reporter Bobby Lance. Just as Barton announces his decision, Vhia comes under attack by a Jovian military force. Partly to keep from saving face in front of Volhan, Barton allows himself to be convinced that he need to go into space to report on the Jovian attack. The two reporters and Volham manage to make their escape in an IP news spaceship and once they achieve orbit, they quickly learn that the surprise attack is not Jovian, but rather Martian in origin as Mars is trying to start a war between the Jovians and Venusians in order to gain a better deal on water rights. The war under false pretenses isn’t Brackett’s real story. Her focus is more on Barton revisiting his life. Many years of reporting on wars and seeing the worst of human nature has made him cynical. Flying into space with the young Lance, who is idealistic and at the beginning of his career, makes Barton take stock of his situation and remember what it was like when he was younger and thought that he could make a difference. Barton’s infatuation with Valhoun is the weakest part of the story and appears to be one-sided, although Barton takes it on faith that she reciprocates his feelings, even as she never says anything to encourage him and is engaged to the ever-present Lance. Reprint reviewed in the collection Martian Quest: The Early Brackett, by Leigh Brackett, Haffner Press, 2002. Well, I’m going to be busy. Which Brackett Ace Double review to post? Or something else? Plus Madeleine E. Robins, and Willa Cather! Thank you so much for this review. Leigh Brackett’s stories are always a highlight as I slowly work my way through Startling Stories. I haven’t read this one yet. Grrr… the internet archive does not have this one. I’ll have to handle my original carefully or visit Adventure House. What an amazing project this author series has been. I have read or at least browsed each and every one. The dedication of everyone involved is commendable.